Integrate the CCSS for English language arts into your school’s instruction, curriculum, assessment, and intervention practices with this straightforward resource. Professional development embedded within the PLC culture is vital to successfully implementing the Common Core State Standards. 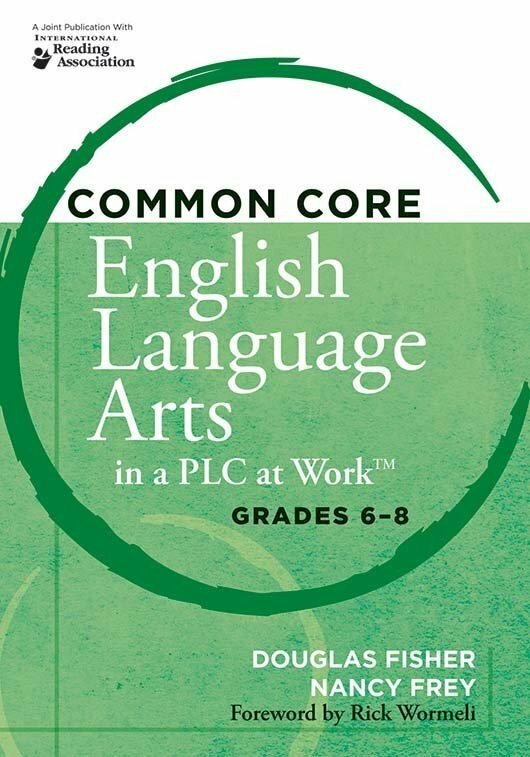 Integrate the CCSS for English language arts in your school's instruction, curriculum, assessment, and intervention practices with this straightforward resource. Using specific leader-driven examples and scenarios, discover the what and how of teaching so you can ensure students master the standards. Master the CCSS for English language arts, and develop common understandings to strengthen instructional practice. Equip yourself with strategies for leading collaborative teams in implementing the CCSS for English language arts. Discover the five fundamental shifts in literacy instruction necessary to enhance students' language development. Understand the leader's responsibilities in supporting teachers in delivering high-quality instruction to all students, including English learners and students with special needs. Learn the qualities of effective English language arts programs and how the CCSS for English language arts relate to these programs. Develop understanding of high-quality formative and summative assessments, and find out how collaborative teams can draw on valuable data sources to make instructional decisions.